Alva Bailey Olsen passed away peacefully after a long battle of the illness dementia on Jan. 23, 2019. She was born in Perryville, Arkansas to William and Nellie Shangin on Feb. 20, 1948. She moved to the Susanville area at the young age of 11 with her two loving and caring foster parents, Pastor Gene and Judith Schomming. She met and married William Bailey, they had two children together. After their divorce, she met and married Ralph Olsen, they had one daughter together. She took on ironing to keep her busy while she maintained the house and took care of her three children. She ironed for many people until she was unable to continue. She became an avid bowler while bowling in many bowling leagues, having a beer now and then to make it fun and memorable for everyone around her. She loved vacations to the ocean, to collect seashells and remember the seagulls fly by her. The one vacation that she missed and would of loved to see was to Graceland, Tennessee. To see her favorite Rock and Roll singer of all time, the famous Elvis Presley. She also enjoyed watching the local slow pitch softball games at the ball field. She loved to always have gathering with both her family and friends to laugh and make memorable times together. During the time together with them you would always see a big smile on her face. She was a loving wife, wonderful mother, a best friend and a great- grandmother any one would ask for. 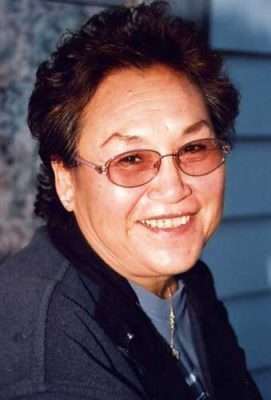 Alva is survived by her husband, Ralph, of 46 years; sister, Clara; her three children, Eugene (Butch) Bailey, DeAnnis Bailey, Theresa Olsen; one granddaughter, Andrea Monath. Her funeral will be held at 2 p.m. Jan. 31, 2019 at Community Church with a grave side service to follow at the Diamond Crest Cemetery. Augie Thomas Ong passed away Jan. 22, 2019. Augie was born March 3, 1924 in Pittsburg, California to Fong Shee and Ngooey Lin Ong, the third of eight children including two girls and six boys. Augie grew up working in the family mom and pop, neighborhood grocery business. Augie was an excellent student and in 1942 graduated from Pittsburgh High School as valedictorian and school president and won numerous trophies for wrestling. He was also an Eagle Scout with the largest number of merit badges in the nation. The family moved shortly thereafter to Oakland, California and established a new grocery business there. With World War II underway, Augie immediately enlisted in the Army-Air Force Air Corps. From 1942-1944, Augie pursued studies in pilot training in South Carolina, Georgia and Texas, learning to pilot PT-17, BT-18, AT-6, and P-40 aircraft. He married Nancy Bauer, of Oakland, California during this period. He graduated from flight school in 1944 and was deployed to Clark, Air Force base in Manila, the Philippines as a flight-training instructor during the last year of WWII in the Pacific theater. After the war, Augie attended the University of California, Berkeley and became an insurance agent after graduation. In 1950, he was recalled to service and became a career officer in the US Air Force, serving at Joint Command Headquarters for the Pacific in Tokyo, Japan, Hickam Air Force Base in Honolulu, Hawaii, and Hamilton Air Force Base in Marin, California, and as an instructor of ROTC at University of California, Berkeley. Augie obtained an MBA at the University of California, Berkeley in 1963 and worked again at Hamilton Air Force Base in the Air Defense Command for the Pacific where he wrote the Air Defense master plan. In 1964, Augie was deployed to Bangkok, Thailand where he advised the the Royal Thai Air Force and later became the protocol officer for the US Military Assistance Command. He organized the visit of President Lyndon Johnson as well as many diplomats, congressmen, high level commanding officers and celebrities with the Royal Thai family and other Thai dignitaries. The Thai government awarded Augie an engraved silver box for his excellent service. Lionel Hampton asked him to join his team due to his outstanding advice. From 1967-1972 Augie served in legislative liaison and as an assistant to the Inspector General of the Air Force at the Pentagon. Augie retired as a full colonel in 1972 with more than 6,000 hours of flying time and relocated back home in Oakland, California to spend time playing his favorite pastime, golf and with his daughter Sally Ong. Augie is survived by his only daughter, Sally Ann Ong Leong; grand-daughter, Sasha Busjahn; two step-children, David Arthur Parque, (Nancy); Nancy Barbara Amo, (Douglas); and grandchildren, Jenny Amo, Evan Amo, Alex Amo, Nicholas Parque and Thomas Parque. He was preceded in death by his first wife, Nancy Ong; and last wife, Rosalie Ong, mother to his step-children. A memorial service will be held at Riverside National Cemetery.